We all want to lower blood pressure, lose weight and prevent diabetes. The DASH eating plan, which stands for “Dietary Approaches to Stop Hypertention,” is a 1,200-calorie diet plan that is endorsed by the U.S. Department of Health and Human Services. The plan focuses on lowering salt and sodium intake and cutting out high fats to reduce the risks of chronic disease. 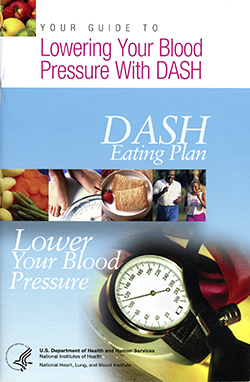 To get started on a healthier you, download a guidebook of the DASH eating plan at www.nhlbi.nih.gov/files/docs/public/heart/new_dash.pdf.